I really miss my tractor tire. Unfortunately it didn't make the move from CO. It seems to me that keto and crossfit could be a fantastic match for someone like me. Someone very fat-adapted - I've been keto for over a year - who likes a good tough workout and has fat stores to spare. 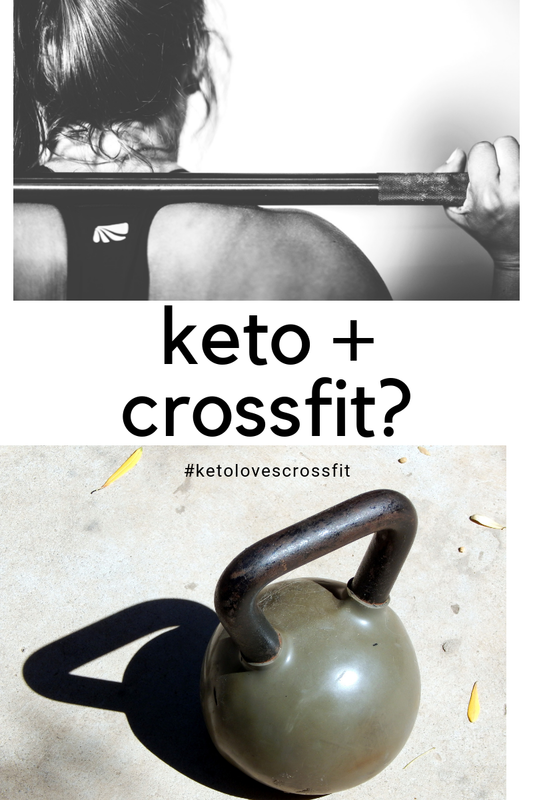 I'm not talking an elite crossfitter here (though some theorize there could be value in keto even for them, but that's beyond me). I'm talking just an average Jane doing crossfit to get stronger and more fit and maybe lose a bit of fat. I'm seriously curious. You know me, that means an experiment! My little N=1 keto + crossfit experiment starts October 15th and will go 6 months. I'd like to give it the full 6 months just to truly get a picture of how the two coexist for me. I'm going to start with the Beginner workouts from Firebreather Fitness for the first 21 days and work on learning the basic moves of crossfit. I've called myself a crossfit dabbler for years, so I've done some crossfit-type workouts here and there, but I want to start this out right and reinforce the basics. Eventually I will transition to using the WOD's from the Crossfit Journal App at home. Modifying where needed for ability and equipment, though this fitness junkie has a lot of equipment. I currently have no plans to join a crossfit box, but we'll see how it goes. As far as the keto part it will be steady as she goes with what I've been doing. Dairy-free, 1600-1800 calories, with 30-40 grams TOTAL carbs (don't blame the keto for what the net carbs did ;). Just plain old everyday keto, no upping my carbs, no extra workout timed carbs. Workout related supplements I'll be utilizing will be: Creatine and my Keto Preworkout. I also like to use my BCAA lemonade recipe if I'm especially sore. All are very low or no carb. Currently I can only do a couple regular push-ups and cannot do a pull-up. My first set of goals are to do 10 regular push-ups, 2 strict pull-ups, and 10 pistol squats (because of my NOVD I haven't been able to do these for a few years). Not setting any time frame, just as long as it takes. I'll update with a post here once a month and I'll be tracking much of the process on my Twitter (please tell me I'm not the only one still on Twitter...). Using the hashtag #ketolovescrossfit. Positive thinking right? It's going to be great, right? Will I crash and burn? Will I seriously bonk during tough workouts? Will my energy levels take a dive? Will I feel fueled for a good workout? Will my workout performance feel seriously trashed? Or will I shred fat, get stronger, and feel great? Who knows, but I'm excited to see! Not a lot of change here, but promising to me. I think my body is adjusting to the change of pace. I was SUPER sore the first 2 weeks as I adjusted to these workouts. My weight has fluctuated throughout the month. Up a few pounds, down a few pounds. I think maybe just related to the sore muscles, and a little dairy now and then...ugh. I think I'm down about 2 pounds, but will see if things even out for month 2. Accountability is one of the main reasons I blog my fitness journey, so, honest time! My tracking was great the first 2 weeks and lacking the last 2 weeks. Annnnnnnd there was some dairy the last 2 weeks as well. I'll be addressing those issues in month 2. On the bright side, I stayed around 30 grams total carbs and 1600-1800 calories most days. Closer to 1600 the first 2 weeks and closer to 1800 the last 2. As far as the workouts, I went through the entire 21 day beginner plan of Firebreather Fitness. I had to modify some here and there. For example, I had my husband make me a 12 inch box to start out and I'm still modifying push-ups. I have to say I loved these workouts and found myself looking forward to working out again. That was a nice surprise. Wall balls, box jumps, and rowing are downright fun to me! Slight tangent, but I am madly in love with the rowing machine I bought. I'll do a review. I am seriously smitten, and questioning why didn't I buy one years ago?? I did take a significant amount of extra rest days in the first 2 weeks. It took me all of month 1 to complete the 21 day plan in fact. But like I said, I was really sore, and I accept that my recovery isn't as quick at, ahem, my age ;) Mostly these were "active" rest days, meaning I skipped the crossfit workout, but still rowed or went for a long walk those days. Workout related supplements I used were: Creatine and my Keto Preworkout. I didn't use my preworkout every day, but it was a nice boost the days that I did. I found my energy levels and workout performance were on par with what I'm used to. In fact, I felt pretty great throughout the workouts. No "bonking" whether I took my preworkout or not. I usually ended my workouts feeling exhilarated (and completely and utterly drenched in sweat btw). Going forward, my plan for month 2 is to repeat the beginner Firebreather Fitness Plan for another round. Hopefully having mastered the moves better and with less extra rest days. I'll be taking this week (Thanksgiving week) off and just rowing and walking, then starting the 21 day plan November 26th. Perfect to finish up before Christmas hooplah. Then, I'm looking to switch to the Crossfit app workouts around the first of the year. I'll keep you posted. As far as the keto portion of this little keto+crossfit experiment, I'm going to switch back to tracking on My Fitness Pal (friend me on there if you're there!). I think a little more attention to detail in my tracking is in order. Also, I'll be trying to stay closer to 1600 calories. That seems to be my sweet spot for weight loss. Again, 30 total carbs will be my goal and NO DAIRY. That one is tough, but I know it's where I feel my best. Dairy makes me puffy, snarfly (technical term), overall achy, and sluggish. I have also figured out that dairy is what was causing me to have high fasting blood sugar even on keto, and it lowers my ketone levels too. It's. Got. To. Go. As I said in my first post, no upping carbs, no workout timed carbs, etc. Just a quick check in to let you know where I'm at! I did not repeat the Firebreather Fitness routine, but instead joined a crazy step challenge with friends on Garmin Connect (seriously, I was at like 600,000 steps for the month and only got 4th!) and did some rowing through December. Then, in January I did some random workouts from the Firebreather Fitness books and today....(drum roll) decided to jump into the workouts from the Crossfit app! Yes, today I did my first official Crossfit workout, er, uh WOD. It was a 5000m row, which I did in 27:48. I'm excited to be doing the big girl Crossfit workouts, but wondering how much I'll have to modify for equipment. We're moving. Again. But as SOON as we get moved I plan to finish outfitting my at-home Crossfit gym. Can't. Wait. In the meantime, I'll do what I can do. As far as diet, I have finally, totally, and completely gone off dairy (applause) and feel amazing from doing so. I haven't been tracking my food. With the move it's just one more thing that I simply can't handle right now. I have been playing around with some intermittent fasting and most days OMAD. I'll keep you posted on how that goes. Day 1 - 5000 m row: 27:48 (it was run or row, but my driveway was way too icy, so I chose row). Day 2 - Deadlift 1-1-1-1-1 reps, Then practice handstands for 20 minutes. (I don't have a barbell yet, so could only do 40 lbs with my 20 lb dumbbells. Only practiced handstands for about 5 minutes, because that's all I could handle. OK, and I added 10 box jumps at the end because I like box jumps. I'm using a 12 inch box, but think I'm close to ready to move up to 14). Day 4 - 3 rounds for time of: 1,000 meter row and 5 rounds of Cindy (each round is 5 strict pull-ups, 10 push-ups, and 15 squats). Had to modify the pull-ups and did push-ups on my knees, but really pushed the intensity on this one. It was crazy awesome insane. Time was 36:39. Day 5 - 5 rounds for time of: 1-minute handstand hold 21 toes-to-bars. I took an unplanned rest day here. We're selling our house and had to get out early for a showing. Day 6 - 5 rounds for time of: 21 back squats (95 lbs for women) and 1 legless rope climb, 15 ft. I did this in 11:57, but had to scale it like crazy. I couldn't remotely do rope climbs, so did a one minute row and had to scale down the back squat weight too.